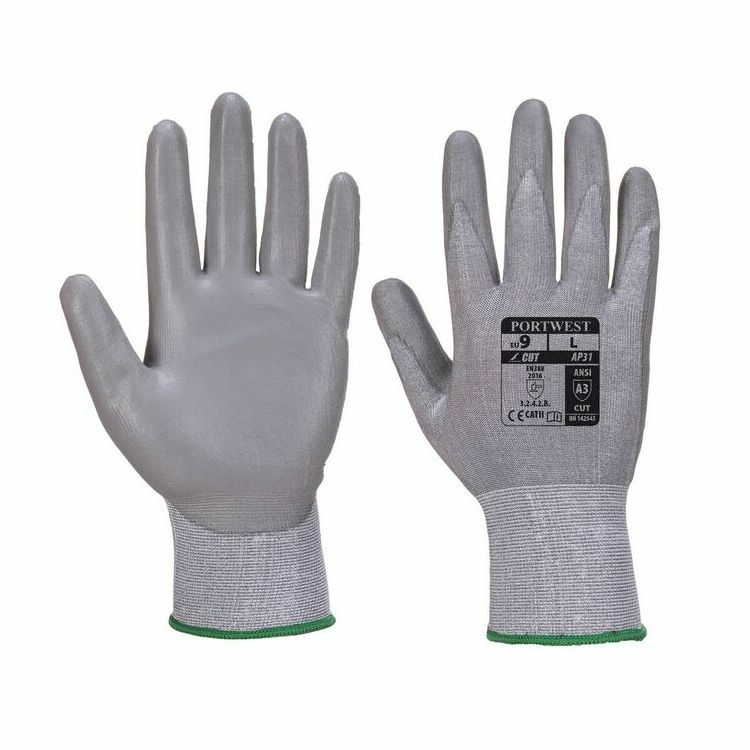 Fitted with a super fine 18 gauge HDPE liner, the Portwest Cut-Resistant Lightweight Gloves AP31 are ideal in fast, tactile environments that demand high cut protection. With a PU palm coating that provides excellent grip, the Portwest Lightweight Gloves promise to keep the user safe when handling small and sharp components. With a super thin liner that offers sensitivity and dexterity, the Portwest Lightweight Gloves AP31 promise excellent performance in fast and tactile environments. The user has total control over the materials they are handling and, with their high abrasion resistance and 100% breathable liner, they ensure long-lasting comfort and protection. The Portwest AP31 Gloves are available in five sizes that should be suitable for most users. To find your perfect pair, please measure the circumference and length of your palm and match the results to the table below.